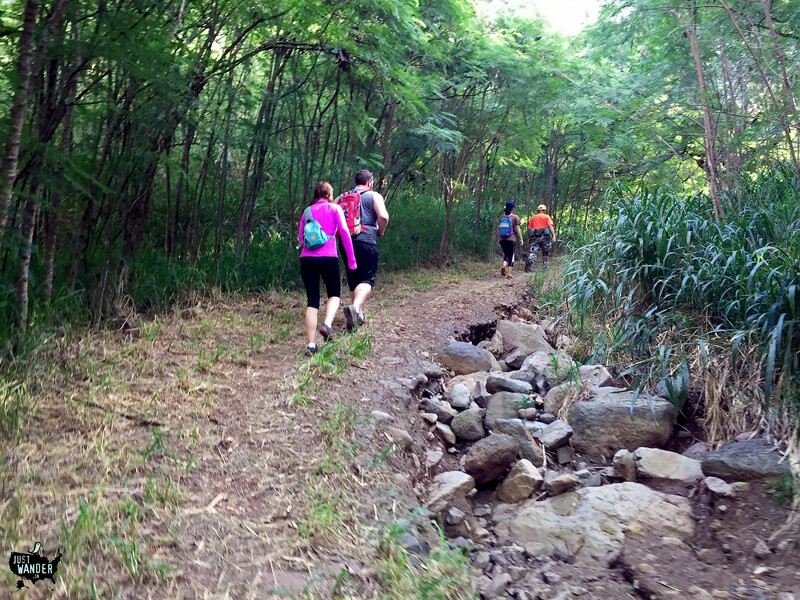 My 3rd hike with the Hawaiian Trail & Mountain Club. We met at 8:30am and ended around 1:00pm (4.5 hrs). 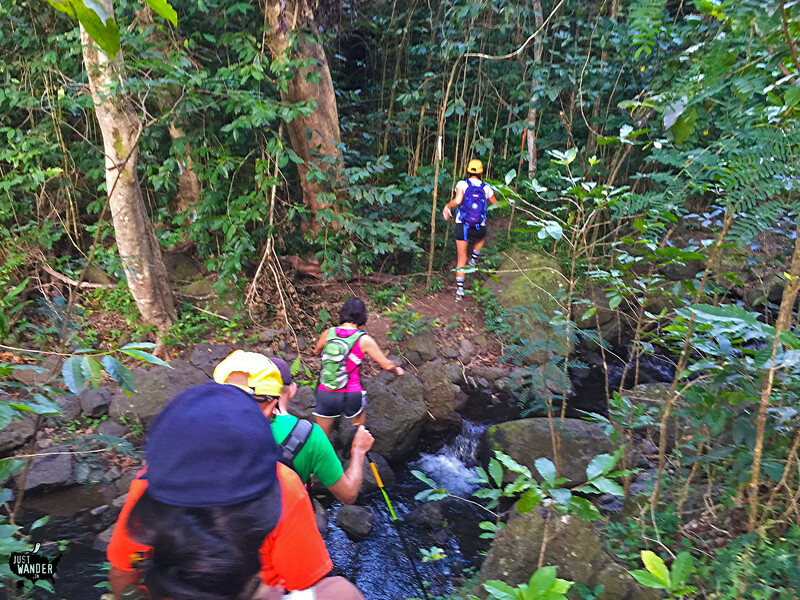 Today’s hike we crossed several flowing streams – Kalalulu, Kukaki to the Kanewai Streams. 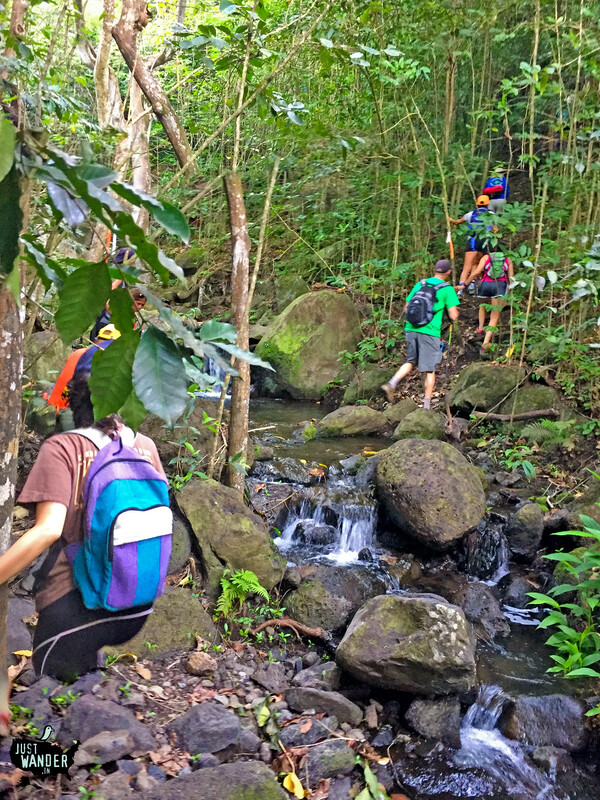 Most of the hike was canopied by the shade of the valley’s Ironwood and Lemon Eucalyptus trees and trekking through coffee plants, ferns… mostly non native species of plant life… probably a botanist’s dream hike. 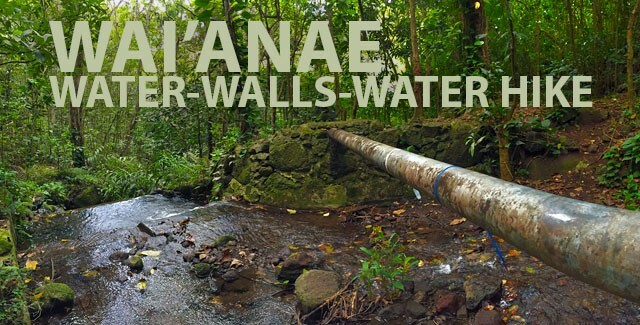 The location has several shared trails from other known hikes: Wai’anae Waterworks, Wai’anae Rumble, and Wai’anae Kai to name a few. 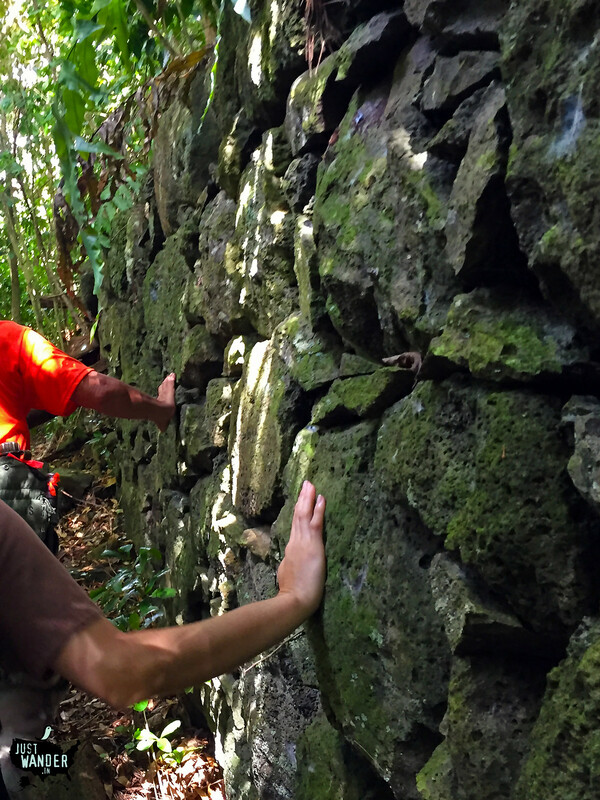 One of many tall stone walls along the trail. Around 9:10am, we’ve already reached this wonderful waterfall. 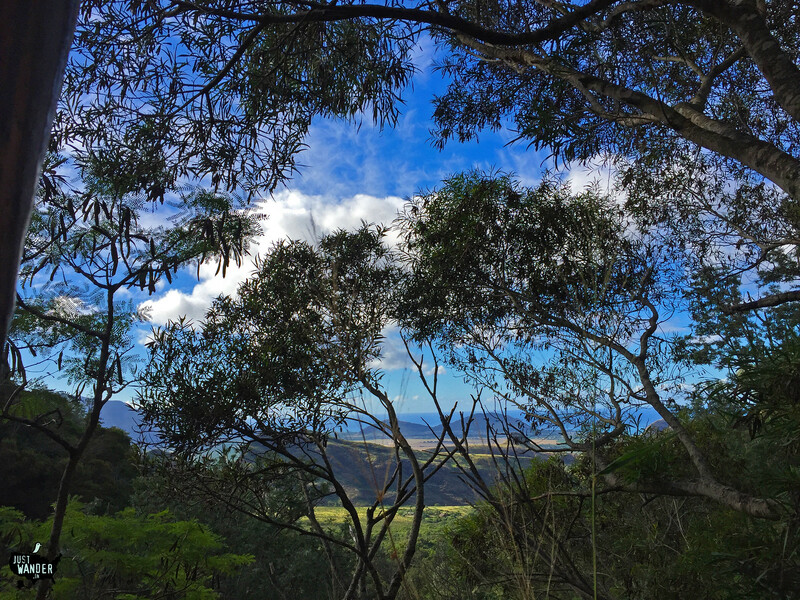 1 of 3 of today’s Peek-A-Boo Views. 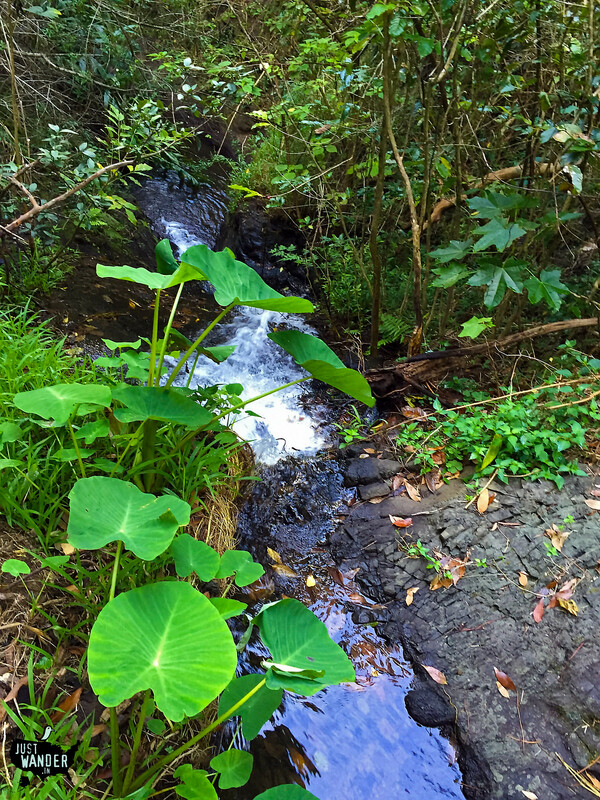 I call this section of the hike “Taro Patch Falls” as taro plants hug the stream down the valley. 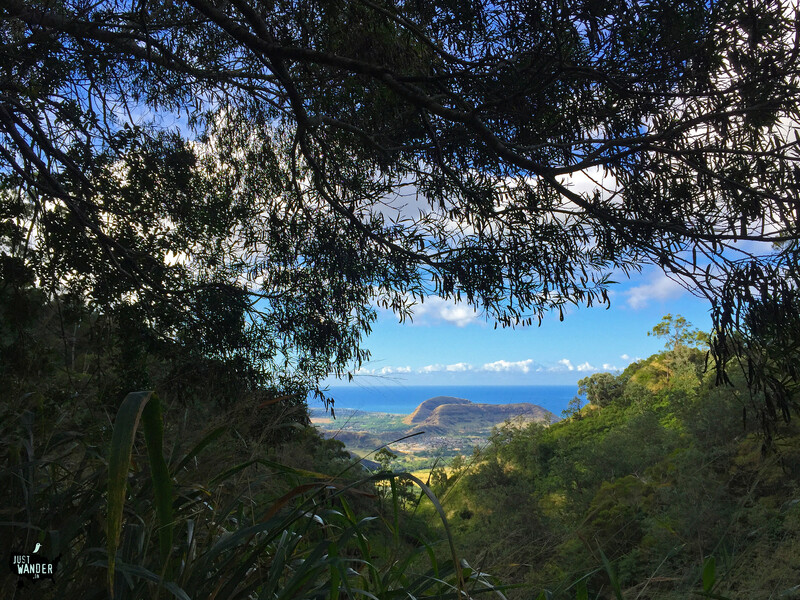 2 of 3 of today’s Peek-A-Boo Views and according to the Long/Lat GPS Coordinates of my photo. We’re 2,651 feet above sea level. 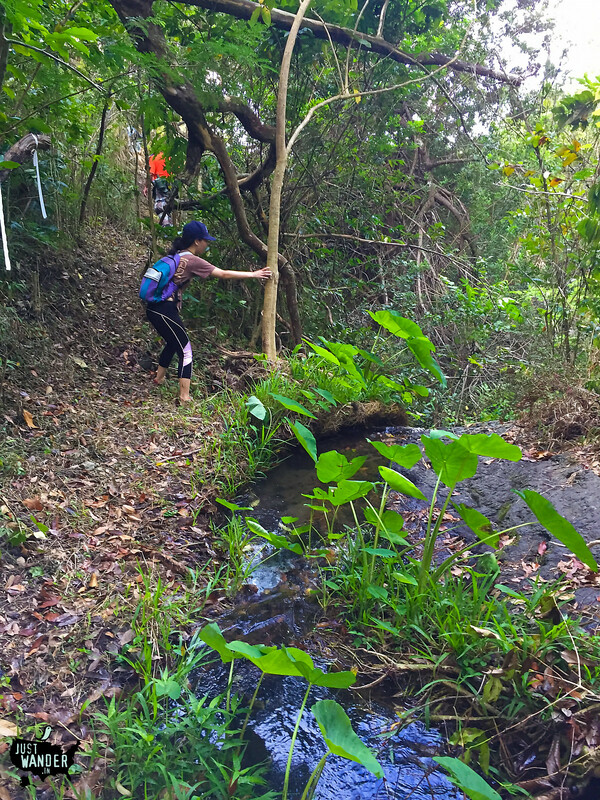 The highest elevation hike I’ve ever done was back on the Caribbean island of St. Lucia when we went on the Gros Piton hike. That was 2,619 feet above sea level. Are these – Agave plants? 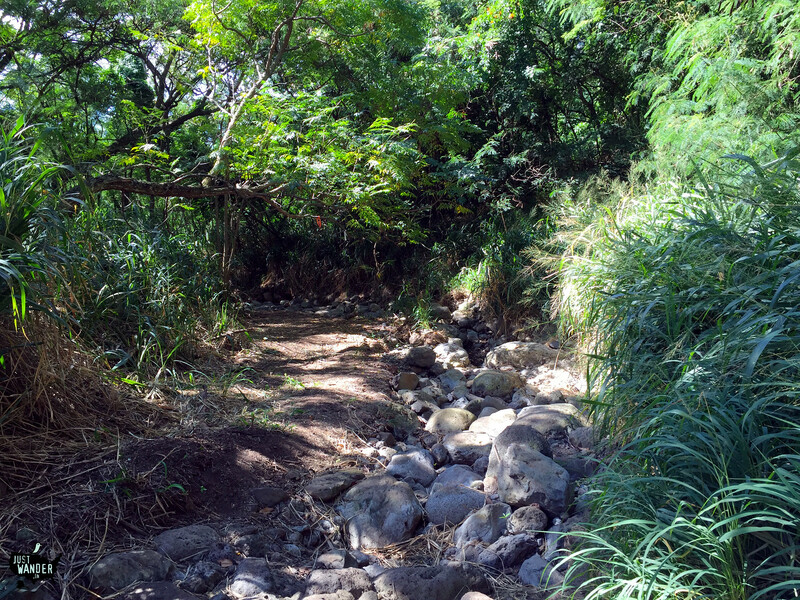 What’s believed to be the house site of the Wai’anae Plantation manager of his day with terraces and several steps leading to the nearby stream. Plant Identification: I believe this is the Sagebud: Delta Maidenhair (Adiantum raddianum) which decorates this wall. 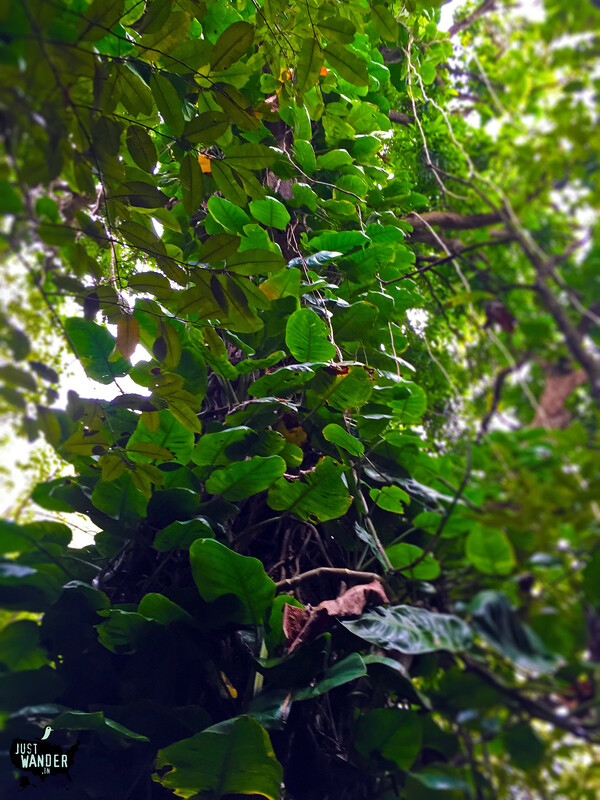 Look at how the Vanilla Orchids choke this tree. 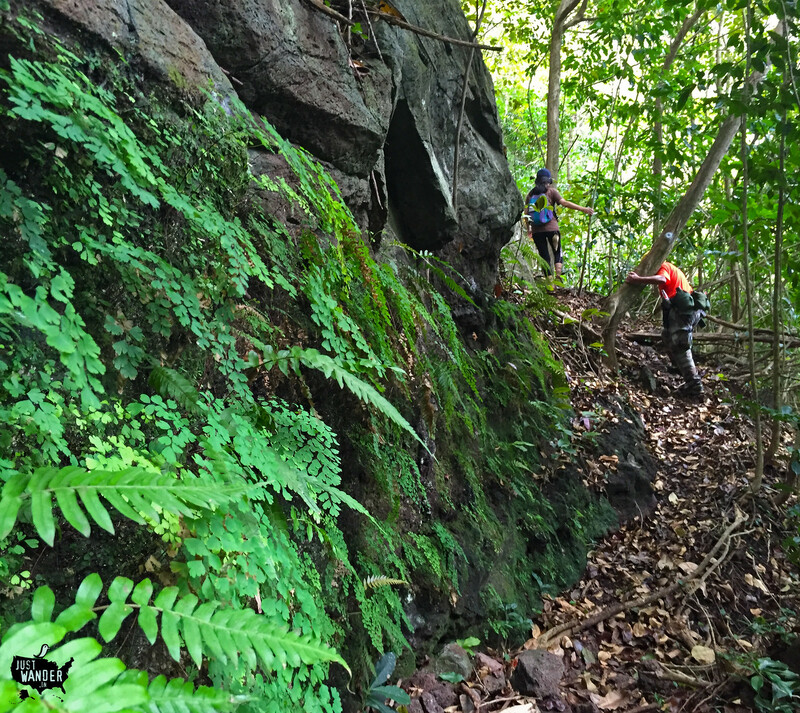 Although overgrown, you can see what we believe to be an ancient rock altar or shrine. Wouldn’t want to mess with it. We stumbled upon an area we only assume was used as a gathering place since the stone walls were fully enclosed in a circular shape with no exit or entrance. Directly above us was an old coffee mill site. 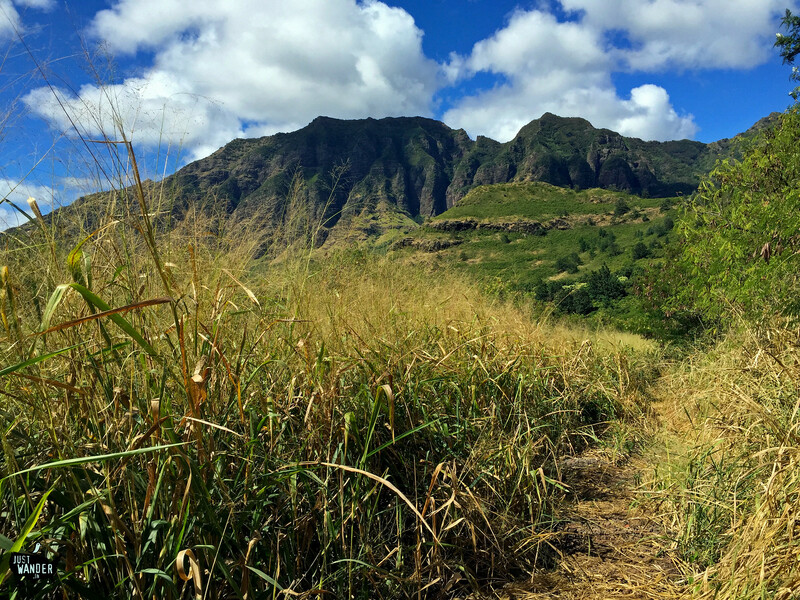 I really need to get the book, “Historic Waianae a Place Of Kings” which might give insight to the history of the plantations and coffee mills. 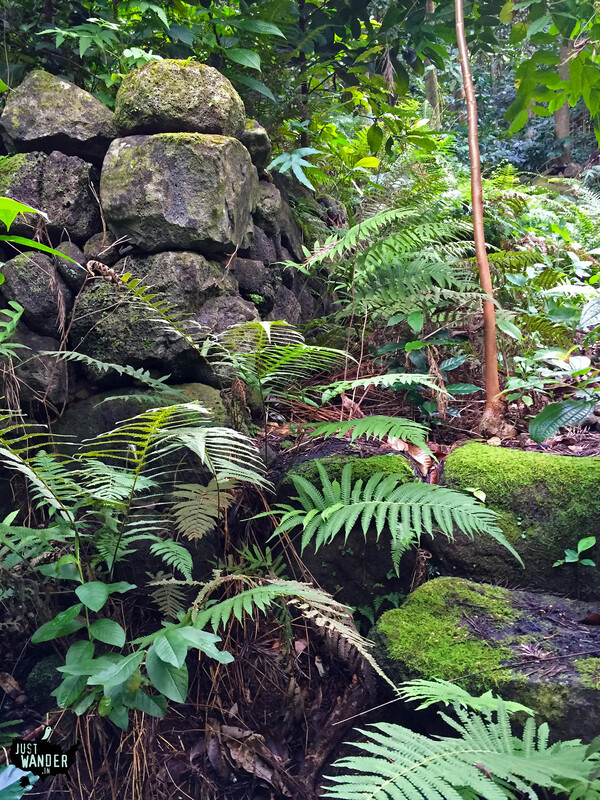 Imagine this wall being built as a result of planting coffee back in the late 1800s. Time to follow the white ribbons back down. 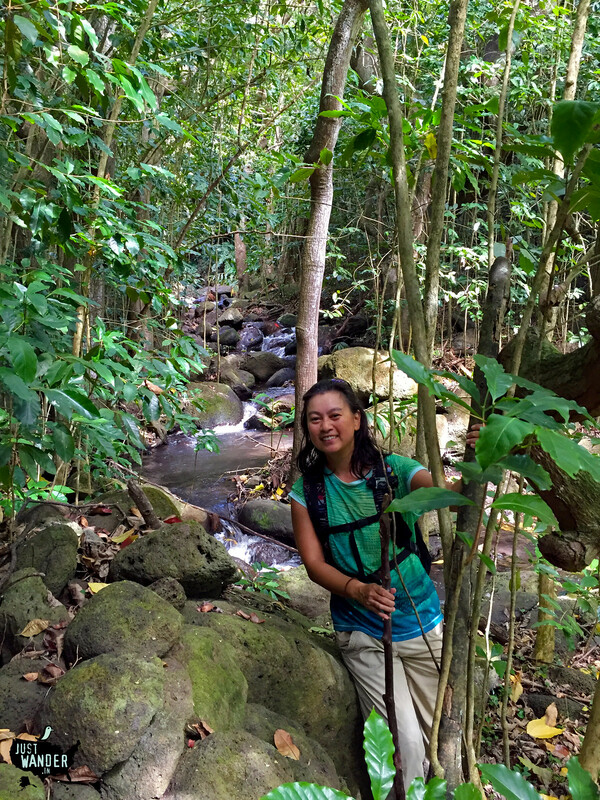 A good portion of the hike was pleasantly next to the sounds and views of the streams. Lovely! 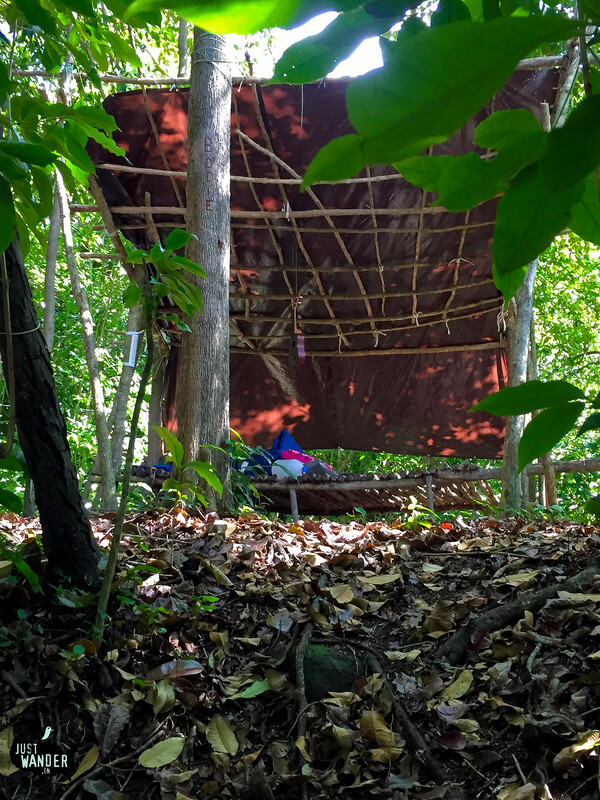 Not rushing through the hike, we caught a glimpse of what we assume was a group of hunters makeshift camp. Looks like they’ll be in the valley awhile. They even brought a ukulele to entertain themselves. Looks like a scene from Survivor. They even made cots! 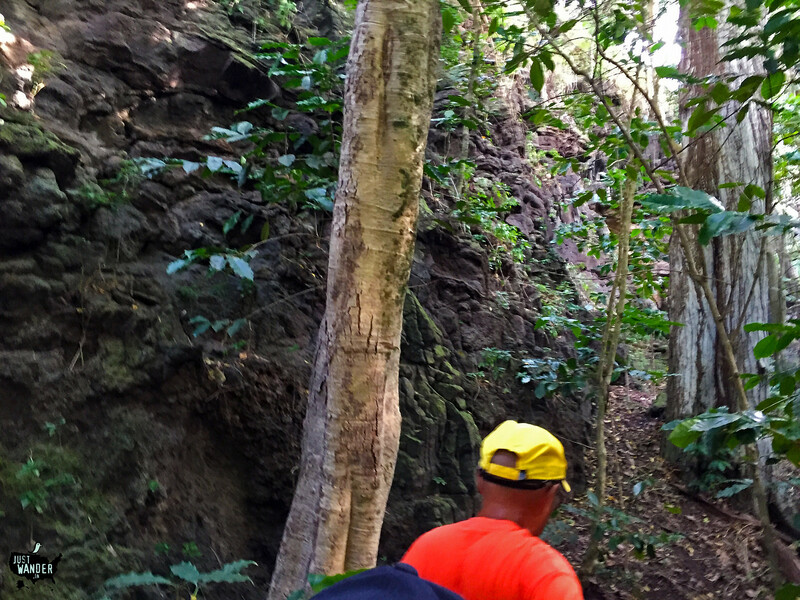 3 of 3 of today’s Peek-A-Boo Views where we appreciate the folks who groom the trail. 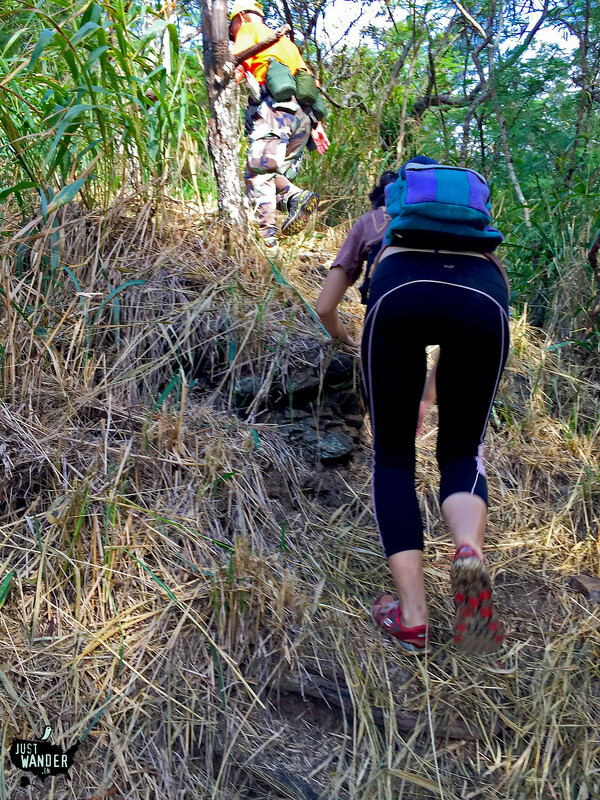 There wouldn’t be a trail if they didn’t come and weed wack. Here we’re back at the dry stream bed indicating we’re made the loop and very close to the end of the day’s journey. 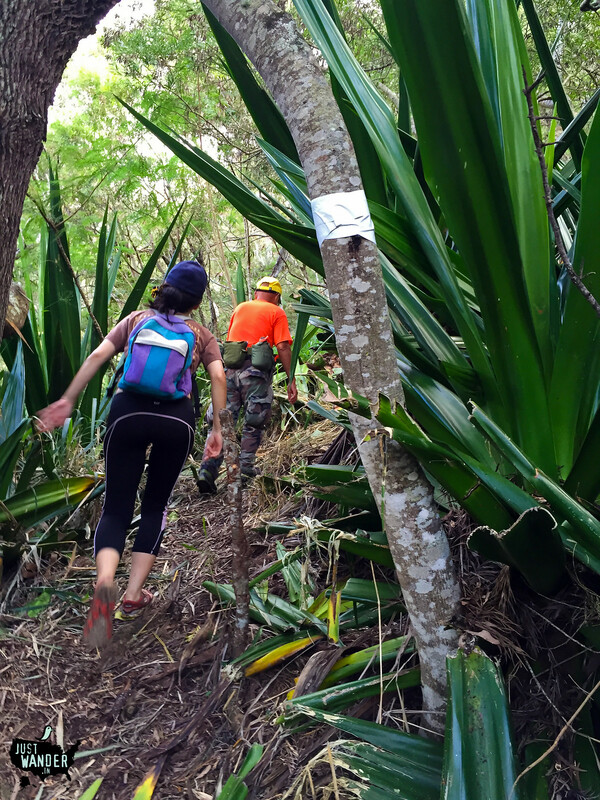 Time to strip off the layers – BugAway Insect Shield® pants off. Transition from hiking water shoes to slippers. Peeling off both knee support sleeves for my creaky knees. 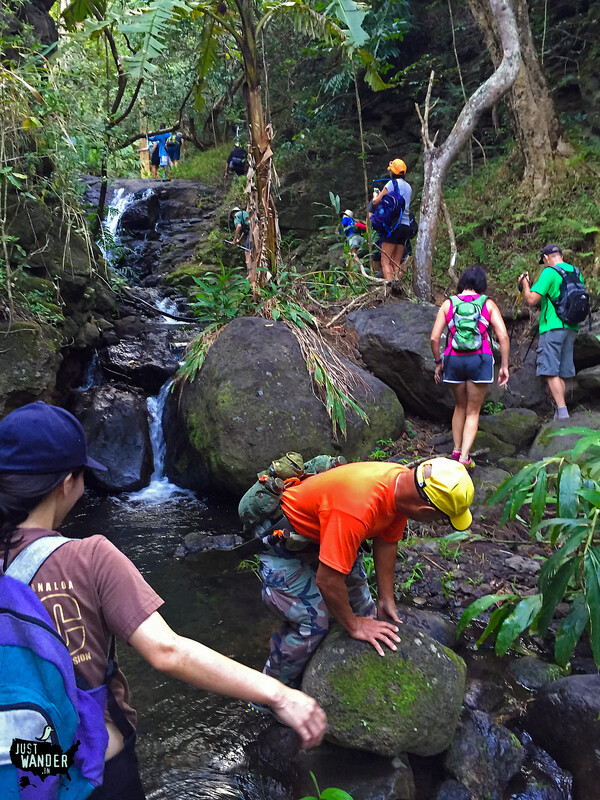 QUESTION: Where are some of your favorite hikes?